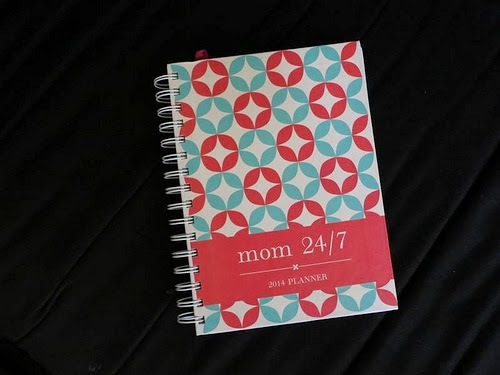 This time it's a Mom 24/7 Planner! I love using this planner! I used the 2013 planner and what I like about it is I can write down all of my schedule, events and even my kids'! But this time, they made it even better. Apart from all the hustle and bustle of everyday errands and responsibilities, the Mom 24/7 planner bears pages of inspiration. The planner’s contents will also nurture a mother’s well-being. Get to read through other motherhood experiences and learn from simple joys that enable other women to reflect on their individuality and emanate positivity. I'm giving away 1 copy of Mom 24/7 Planner 2014! Joining is easy-peasy! Just use the Rafflecopter widet below! being a sahm aint bad! i know how some mommies are frustrated that they are just a sahm especially if they had work before they gave birth. but fret not mommies because you get to reap the rewards by witnessing all the milestones of your kids. you get to bond and play with them. and just one kiss or hug from them is the best payment you'll ever receive. If it is at all possible, maintain some contact with the community while being a SAHM. Volunteer in non-youth related activities or work even one day a week. When your kids are self-sufficient and you want or need to work it's tough to find a job after a long hiatus. That the best part about being a mother is seeing my daughter grow up. as for a mom like me we should always think positive and be happy always for our kids, i been raising my kids technically alone coz my husband need to work away,we should always learn from our mistake and try to be happy no matter what life takes us..
To be honest I'm not a mom.. but based on my friend that is already a mom she said this..
"at a young age for me as a mother is not an easy task because there us a lot of task to do especially I'm a student-mom, but its a wonderful experience being a mom cause even I'm tired just seeing my daughter makes me happy and stress free.."
Not a mom yet but I have a 3 year old nephew who I adore so much, I see how much my sister loves her son, He's really the greatest gift that we received from GOD, Though its really tiring to look after a toddler but everything is worth it every time he hugs or kisses you and looks into your eyes and gives that BIG SMILE that is super cute. Being a mom is not a joke, it is messy, it gives you eyebags and its not all glamorous as every single woman sees it, it makes a woman do the impossible , juggling almost all task imaginable and unimaginable. But what fuels a mother to go on everyday with this "hardships", its your child. The laughter, the smiles, the kisses , the unconditional love that you get from your little one. Having someone that entirely depends everything to you makes you feel special and strong. Its a gift of God, learning how to gentle , loving , caring and everything to another human being aside from yourself. Each mom has their own stories to tell, but for me, I am still at awe of what I have received. Thanks Stefany! Will try your recipe and tip!